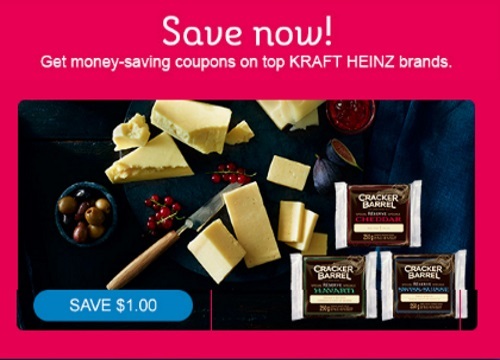 Kraft has a new coupon! Save $1 off Cracker Barrel Special Reserve Cheese 250g any variety. This is a print coupon available via the Websaver Kraft coupon portal.